What an adventure it is to attend the National Storytelling Festival! I was invited by my friend Norah Dooley www.norahdooley.com who would be telling in the Exchange Place. I have wanted to go to the festival for a long time and 2013 with Norah’s invite, I finally made it there. We’ve travelled together to a story event in the past and enjoy the time to talk story business and for fun! I expected to hear great storytelling, I did not expect the beautiful scenery, I really never gave it a thought. The there was the camaraderie, the friends, food and fun! The little town of Jonesborough TN. is a beautiful spot, a classic American Main St. and they know how to host a party. My hobby is photography, I am always clicking pictures and this weekend was no different. I enjoyed just wandering the festival snapping the memories of my first visit to Jonesborough. Here is a link to the slide show. The International Storytelling Center hosts the Festival. http://www.storytellingcenter.net/festival/ The festival staff were a hard working team to make the event so seamless to the visitor. I saw so many storytellers I know. There was also a whole group who seemed much like my Facebook page come alive, there they were in person to talk to – wonderful to finally meet them all! 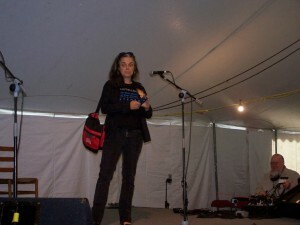 Last but not least I got to tell “George Henry Story and the Ghost of New Haven” in the Swap tent. 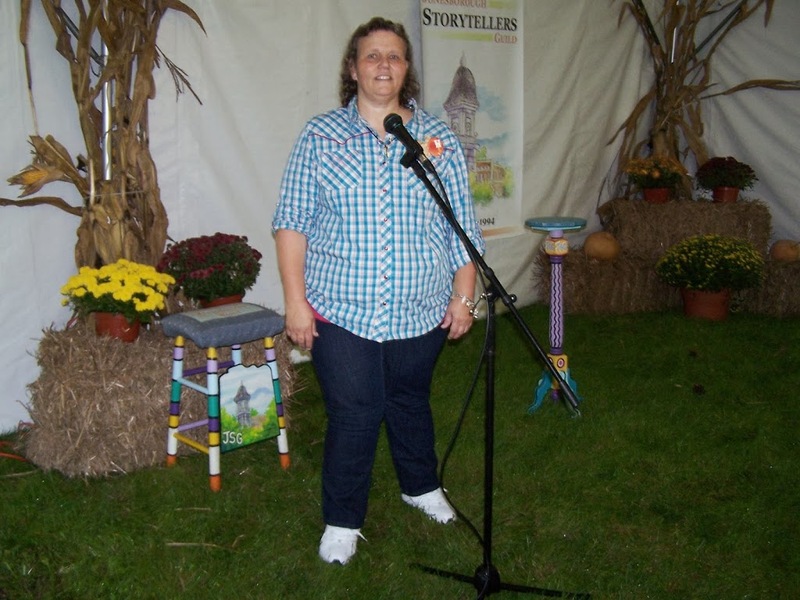 My 10 minutes of story fun in Jonesborough!